In 1998, at the twenty-ninth meeting of the Consortium on Revolutionary Europe, Ben Weider presented an unincumbered gift of 1.25 million dollars through the Weider Health and Fitness Cooperation to the Institute on Napoleon and the French Revolution at Florida State University; his goal was to support the Institute and insure the study of the Napoleonic period in perpetuity. The State of Florida matched his gift with a sum of $937,500 to bring the endowment of $2.18 million. As a result, within the past four years, the study of the Napoleonic period has been enhanced immeasurably. The decision of Ben Weider to establish this endowment at Florida State University was based on the success of the Institute in attracting, training, and placing students; its library resources; its effective leadership, and its actual support by Florida State University. In addition, the Institute had become the most active and prolific program for the study of Napoleon in the country. In 1998 the Ben Weider Eminent Scholar Chair in Napoleonic History was established at Florida State University. The first Chair of Napoleonic Studies in the U.S., it was to be held by the Director of the Institute. A series of Weider Fellowships, travel/research grants and scholarships, visiting professorships, lectureships, prizes, was also created for the study of Napoleon and provisions were made for a future Weider Associate Professorship in the French Revolution. Within a year, enough interest had been accrued from the Weider Bequest to provide Weider Fellowships. With Ben Weider's decision to support the Institute, applications from outstanding students from throughout America increased dramatically. As a result, within three years thirteen graduate students have received Ben Weider Fellowships to pursue masters and doctoral work in the Institute. To enhance their research, fifteen students have traveled to Europe on Ben Weider Travel/Research Fellowships to work in the archives of France and often Spain, England, or Russia. Ben Weider Travel Fellowships have also enabled students to take part in international congresses held in Europe and the Middle East. Four students attended and gave presentations at International Congress in Alessandria, Italy, devoted to "Europe under Napoleon," and two students traveled to Tel Aviv to present papers at the International Congress, "Napoleon and the French in Egypt and the Holy Land." During the past three years, thirty-seven students have received Ben Weider Travel Grants to attend academic conferences, especially the Consortium on Revolutionary Europe. Of this number, nineteen have given presentations. As a result, fifteen Institute students have seen their articles on Napoleon published in refereed scholarly journals. In other instances, Ben Weider Travel Fellowships have been utilized to bring students from distant lands such as the Republic of Georgia, to continue their studies. In the spring semester of 2000, the Institute was fortunate to have Professor James Leith of Queen's University in Canada as the Ben Weider Visiting Professor of the French Revolution, thanks to the Weider Bequest. As the world's leading scholar on imagery during the French Revolution, Dr. Leith taught a course on the Revolutionary period; he mentored students, gave a series of lectures across campus, and presented papers at neighboring Institutions of higher learning. Drs. Samuel Vichness and Harold Blanton also appeared at the Institute and, supported by Weider Funds, they gave presentations on their research. On two separate occasions, Baron Roger Jomini traveled from Switzerland and Monaco to give presentations on his famous ancestor, General Antoine-Henri Jomini. Although only four years have passed since the Ben Weider Endowment has been available to the Institute, eleven Ph.D. and fourteen M.A. degrees have been completed in the Napoleonic period, bringing the grand total of Institute graduates to eighty-five. In addition, eighteen more students are currently working on Napoleon. Consequently, within the next few years, it is conceivable that the Institute will graduate its one hundredth student. With the creation of the Weider Endowment at Florida State University, serious research and interest in Napoleonic Studies has intensified. Although vast numbers of publications exist in the field, Ben Weider has enabled young scholars to examine and research scores of topics never before contemplated. Indeed, he has also aided in perpetuating the study of Napoleonic history by helping to fund future scholars who will write and teach this period in the twenty-first century. Professor of History, Ben Weider Eminent Scholar Chair in Napoleonic History, Distinguished Teaching Professor, Director of the Institute on Napoleon and the French Revolution at Florida State University. In the Napoleonic field, he has authored or contributed to thirty books, written over fifty articles, and presented scholarly papers and addresses at over 200 conferences and institutions of higher learning throughout Europe and North America. 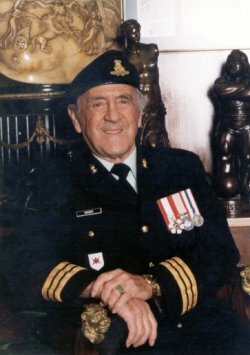 He was named Chevalier (1984), Officier (1992), and the Commandeur (2001) de l'Ordre des Palmes Académiques; received the U.S. Army Outstanding Service Award (1987); elected to the Portuguese Academy of History (1991); decorated as a Grand Officer of the Order of Infante Dom Henrique (Prince Henry the Navigator) in 1992; awarded the Legion of Merit, International Napoleonic Society (1997); named The John Elting Scholar, Napoleonic Alliance (2002); and Chevalier of the Légion d'honneur (2002).